Yo-kai Watch is something of a phenomenon in Japan, enjoying success beyond developer Level-5’s hopes and dreams. “For something that was originally a cross-media project, I thought it would be something equal to Inazuma Eleven, but since beginning of the year, its popularity has gone much higher than I had expected,” Level-5 president and CEO Akihiro Hino said in a Famitsu interview translated by Siliconera. 3DS exclusive Yo-kai Watch has sold over 800,000 copies and shows no signs of slowing down; sales have actually accelerated since February. “Shipments have already surpassed one million units. At this rate, it looks like we might actually pass a million copies in sales, in the near future,” Hino said. The franchise is so popular that the line of toys produced by Bandai has sold out. Hino said the success has taken him by surprise. “While I did believe that it would get its break, honestly, to have it come this far, where the children of Japan would get so hopped-up on youkai, to the point where all the goods would sell out, is something I didn’t expect,” he said. Yokai Watch gives players a magical timepiece that allows them to see, capture and battle youkai – spirits and monsters from Japanese folklore and mythology. A sequel hits Japan in July. 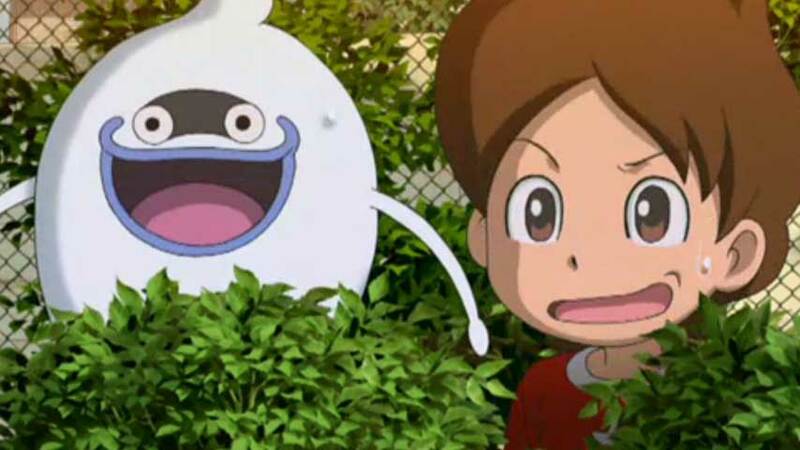 The first game has not been confirmed for the west, but the Yo-kai Watch anime is coming over, so it’s looking more and more likely.